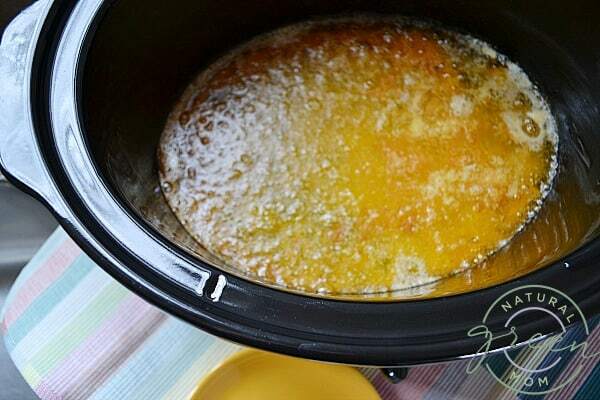 How to make ghee at home in a slow cooker. 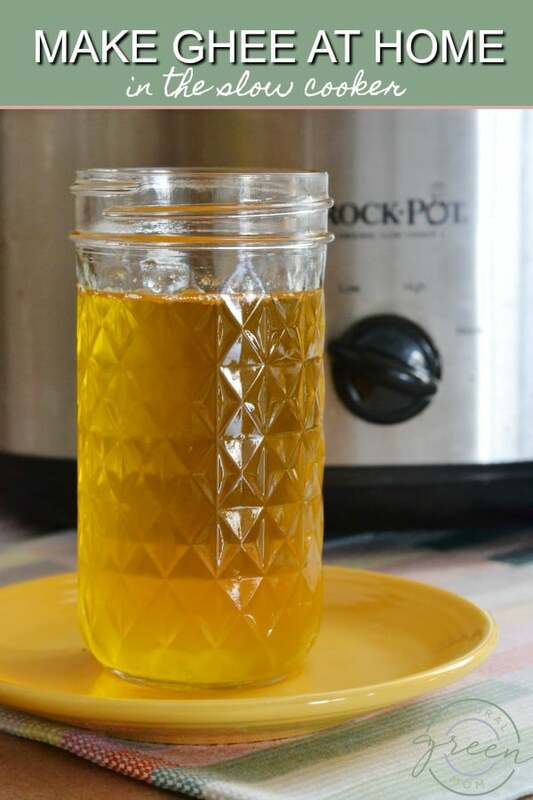 This is hands down the easiest method to make your own ghee. Quick Review: What is Ghee and Why Make it? Ghee is clarified butter. When butter is clarified, the milk fats are separated out and removed and all that is left is pure butter fat. So in a nutshell: Pure Butter Fat = Ghee. The advantages of ghee over butter, or other fats, is it has a higher smoke point. That means you can cook at higher temperatures. In addition, ghee has a higher amount of medium-chain fatty acids (MCTs) than butter. 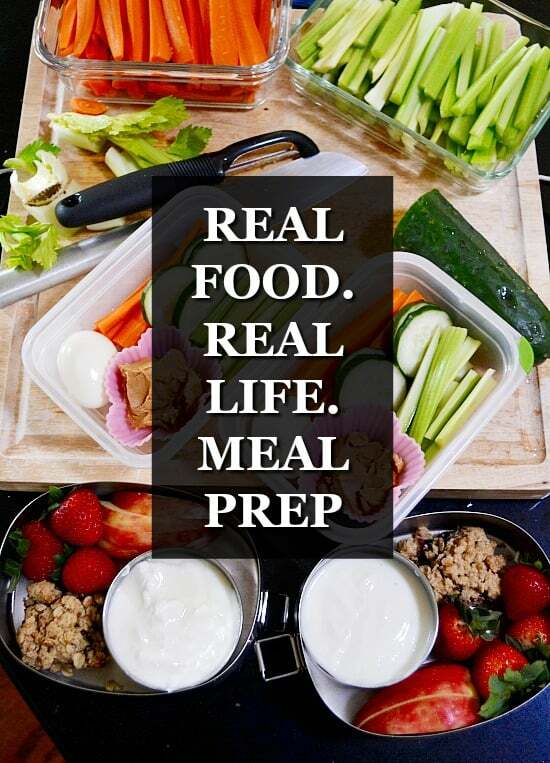 This is good because MCTs are easily digested and provide the body with ready energy. The final reason you want to start making and using ghee is ghee is high in fat soluble vitamins A, D, and E. Since these vitamins need fat to be absorbed, and the ghee is providing the fat, it makes it doubly good for you. 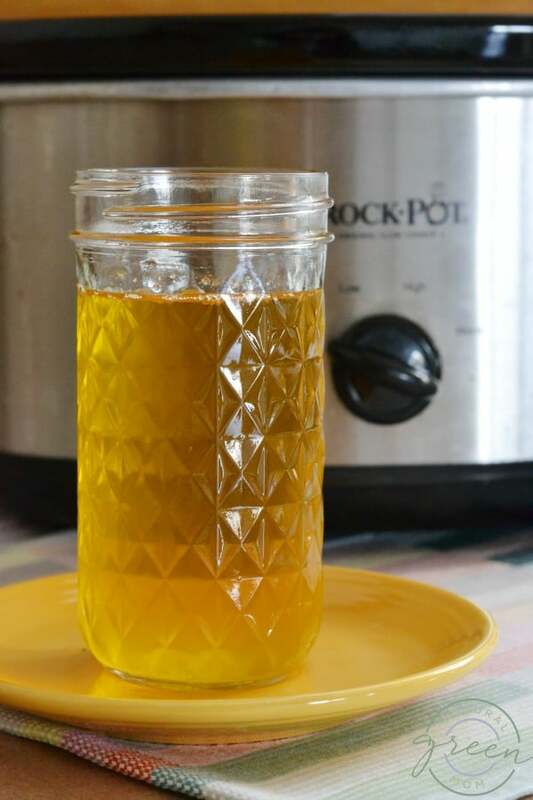 Now that you know what ghee is, let’s learn how to make it at home! All you need is unsalted butter and a slow cooker. I use my slow cooker for everything – spaghetti squash, cauliflower mashed potatoes, even whole chickens. So no surprise – I used it to make ghee. 1. Start with unsalted butter. I used Kerrygold unsalted butter. The beauty of the slow cooker is you can cook a large batch and you don’t have to worry about it overcooking. 2. Add to slow cooker and set heat to low. 3. Cover with lid and cook on low for 30 minutes. 4. After 30 minutes, remove lid, turn heat to high, and cook an additional 2 hours. The trick is to cook the ghee a little longer than you think. 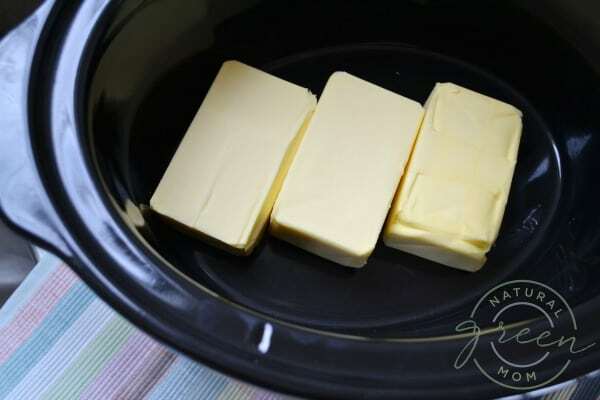 If your slow cooker has a dark insert it can be difficult to make sure the butter gets properly toasty. 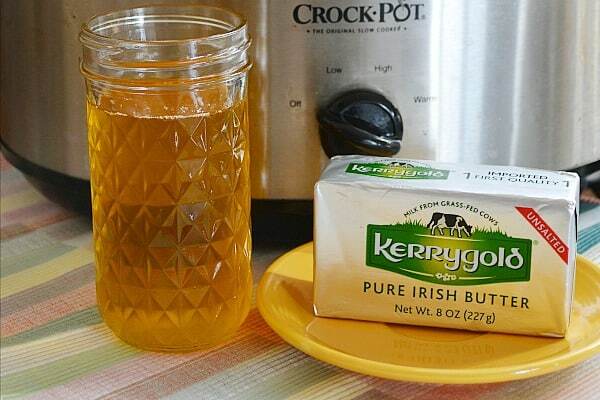 Make sure you see the ghee begin to brown around the edges of the crock. 5. Strain out the butter fats. To strain the butter fats, I added a canning funnel to a mason jar. 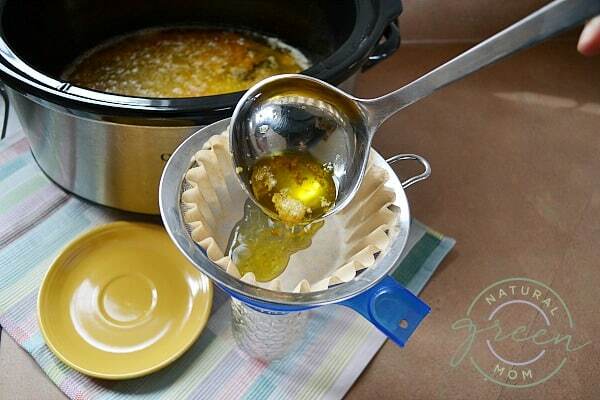 I inserted a coffee filter lined strainer into the funnel before ladling in the ghee. Your ghee is now ready to use! Keep in refrigerated for 3 months or in the freezer for up to 6 months. Have you tried ghee? What do you think of the nutty flavor?